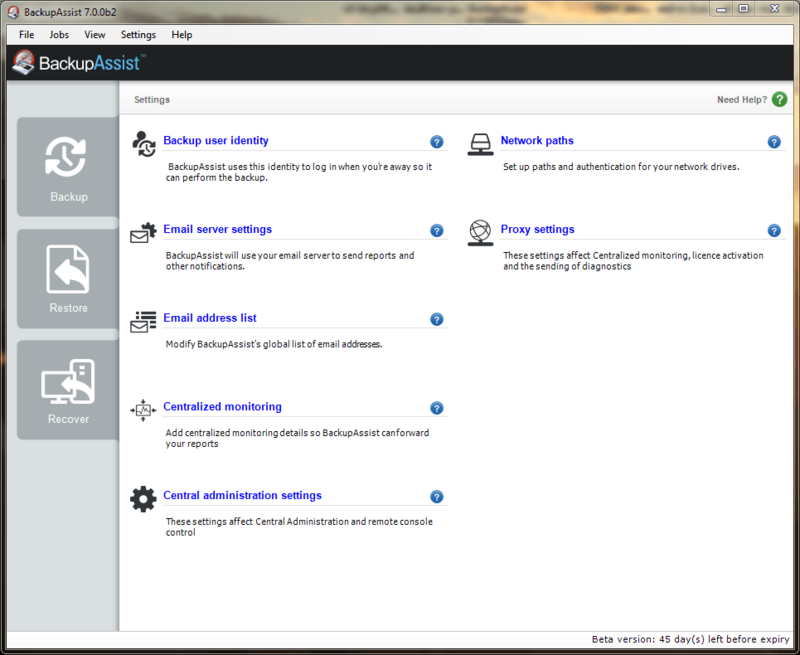 One of the most noticeable changes in version 7 of BackupAssist is how it looks and feels, so I thought I’d use this first of two preview posts to take an early look at the new interface in a little more detail. Earlier iterations of BackupAssist have often been praised for their simple interface layout and ease of use, so when I first heard that the developers were looking to improve on this for version 7, I’ll admit to being a little apprehensive! I’m happy to report, that not only does it simplify the task of adding new jobs but the overall feel of the application is now far more concise. Some settings have moved but nothing feels too far removed that it’s like using a new application. 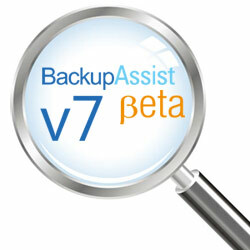 Version 7 is very much the BackupAssist we are used to, but it’s now designed to much better complement the latest range of Windows operating systems. When you first run BackupAssist, you’ll see you’re now presented with a clean, clear and more focused interface. On fresh installations you will also notice that the initial job setup wizard has also been removed. Above we have the new settings window where you’ll find all the program configuration settings along with some updated icons! As you can see from the above, jobs are now more scenario focused, which in my opinion means the job creation wizards feel easier to use because of it. Thinking about backups in this way is a much better approach and should make it much simpler to choose the most appropriate backup technology. After choosing a backup type, you can see that all of the related destination options available to you are shown. Note that Rsync is now treated as a destination as part of the “File Protection” backup type. The job monitoring window now includes some additional information on the last backups for a job. The restore options have now been brought together and the options are only relevant to the previous jobs you’ve. You can now clearly see how many backups you have and what date ranges are covered along with quick links to the relevant restore tools for those jobs. Hope you found that sneak preview interesting – by all means submit any questions below, keep an eye out for part two shortly.